Happy Wednesday! 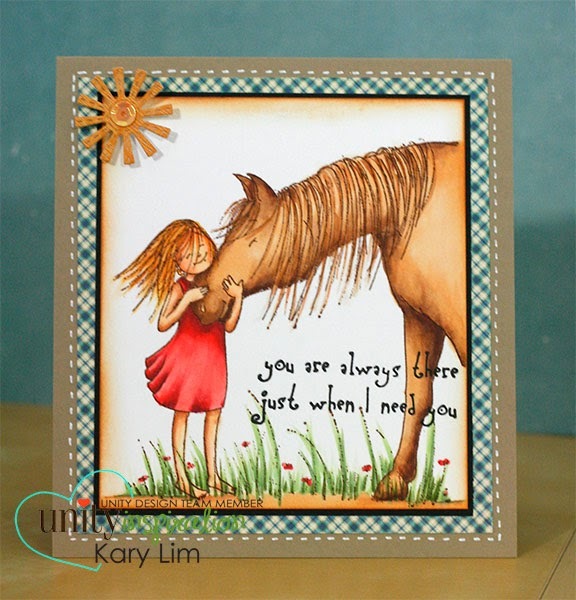 It's Kary here to share a project inspired by watching Black Beauty on tv a few days ago. I had read the book as a young girl, and it brought back many fond memories watching the show. I added some Distressed Ink Tea Dye along the edges of the image piece and adhere it on a black cardstock. I really like adding a little black edge on the stamped image to draw the eye to the image. Some dash lines with my white gel pen and a sun die-cut with a sequin centre finishes off the card :).